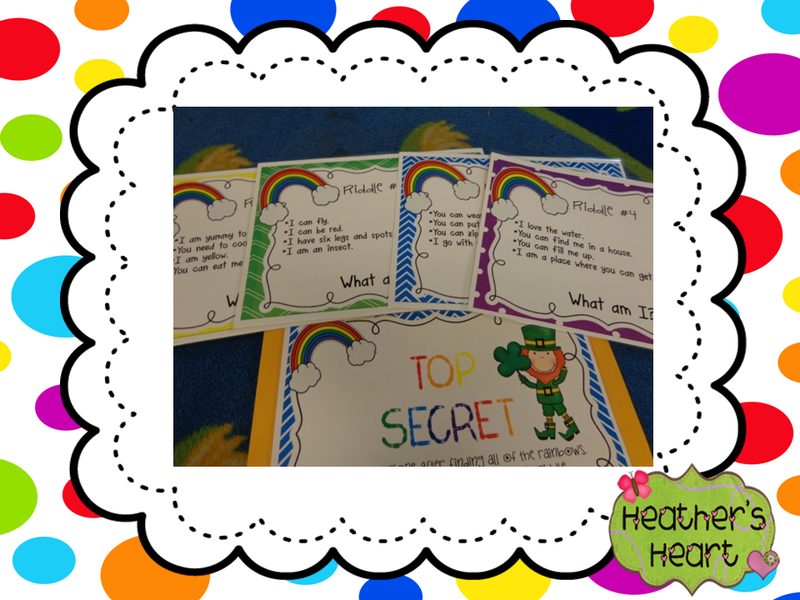 On Friday morning, we opened the breakfast cart and found a letter from Lucky the Leprechaun. In the letter he told us that he is having a birthday soon. 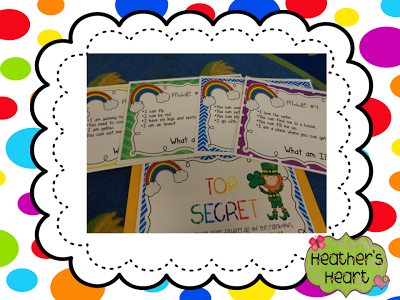 Since all leprechauns LOVE rainbows, he sent us on a search to find the rainbows he hid all around the school. 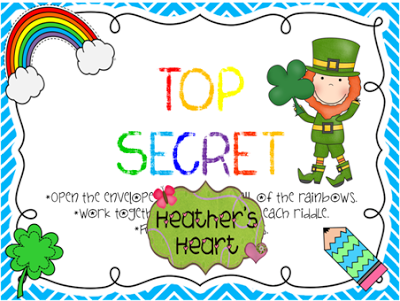 After finding all of the rainbows, we opened the TOP SECRET envelope. We got into our investigation groups and each team came and got a riddle to try and solve. The kiddos were able to look at the compound words we discovered on our RAINBOW HUNT to infer which compound word it could be. When the mission was complete and all of the riddles were solved, we got to open the final envelope. Inside was a poem from Lucky. When we went out onto the playground we found this. Inside were rainbow cupcakes and Leprechaun necklaces. You cannot see the red layer but it was there. Her adorable compound word craftivity. Enter below. The giveaway will end on March the 11th. I am teaching compound words next week! This would be awesome! Looks like a lot of birthday fun! You always have such cute ideas!! This is the cutest!!!! WOW!! That was a lot of work! what an amazing teacher you are!! Your kids are so "lucky!" Have a great break!! An amazing unit. Those cakes are so special. So cute! 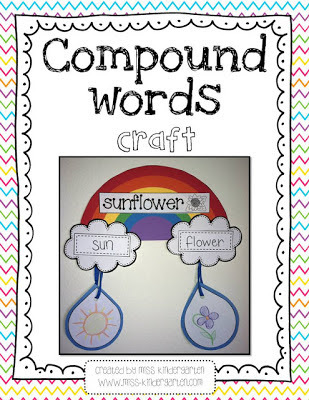 Must be the season for compound words; I just worked up some new lessons and activities, too! Wow, it looks like you guys had so much fun! Such cute ideas. I'm sure they will remember it for years to come! This is SO SO cute! I love the cupcakes. I made rainbow ones for my friend's daughters birthday but they weren't as pretty as those ones. LOVE those cupcakes! I have seen cakes like that before! Are those super hard to make!? We have compound words coming up next week. I LOVE this. Thanks so much for visiting my blog and following me! So sweet. Also A+++ on the rainbow cupcakes. I made a rainbow cake a couple years ago. That's a lot of work! Oh, how fun! This is the cutest idea. I'll bet your kiddos loved every minute of it! The rainbow cupcakes are gorgeous! Those activities look wonderful!! And I realllyyyy want a bite of that cupcake! Such a precious activity! Love it! WOW! Very fun. Those cupcakes are something your students will be talking about for years. 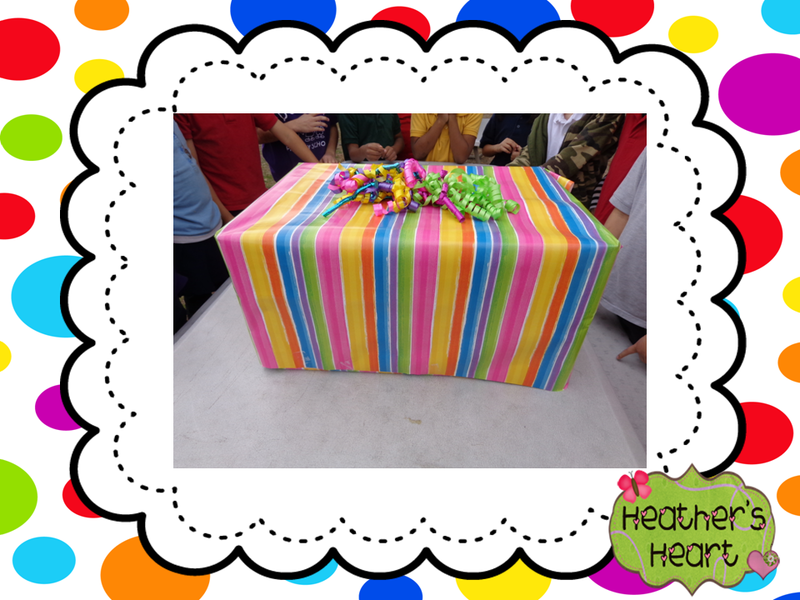 Heather your blog makes my heart sing! I love it. I am a heart lover also! My favorite Bible verse is Eph. 4:32. I would want my boys in your classroom! I feel the same way sometimes (your post about still making things, still working over time.) We keep doing it though because it is what we do! What a wonderful blog. I know your students loved the St. Paddy's Day activities. I signed up for emails also! You blog is so amazing and inspiring! I love the enthusiasm that comes through for those precious little ones that we are blessed to spend our days with. Thank you and please don't hesitate to include me if you need giveaway donations or anything else that will make your online world flourish! I really love the rainbow cupcakes. I was thinking about making those, but I wasn't sure how hard it would be. 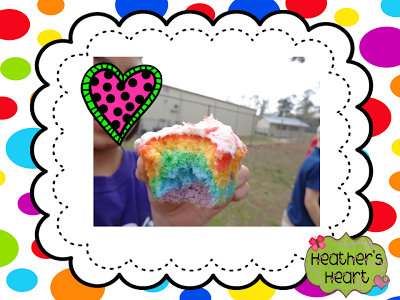 I have been wanting to make those rainbow cupcakes. I was going to try to do them for my son's birthday and I didn't quite get to it. I love hiding them in a rainbow box. Next year if I have a helpful room mom that is good at baking I'm going to have to try it. No, I Didn't....Yes, You Did!! !